Over the years I've found that group customs can be a fun way to see your polish idea come to fruition. Today's custom is the a result of a photo we voted on in the Firecracker Lacquer group on Facebook. Notes: The application was smooth, but if you use too much product you may encounter slight brush marks as seen on one of my nails. The marks can be avoided if you apply thinner coats. I didn't notice the marks until I reviewed my photographs. If you would like to pick up this shade, head over to the Firecracker Lacquer fan group for information. Want to see additional Firecracker Lacquer creations? Check out her Drinks On the Beach Duo with Girly Bits Cosmetics, the Happy Birthday Harry Box, and this Firecracker Lacquer Gradient. 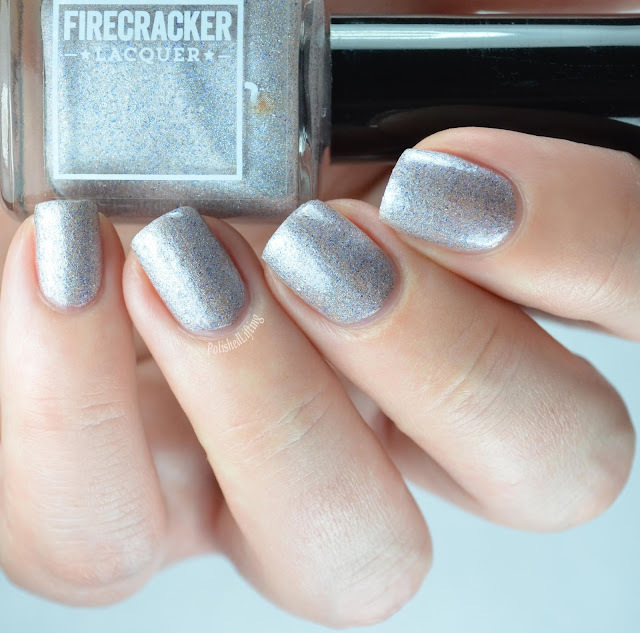 You can find Firecracker Lacquer at the links listed below.